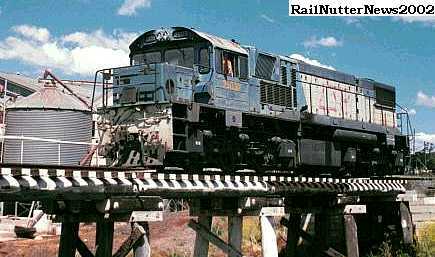 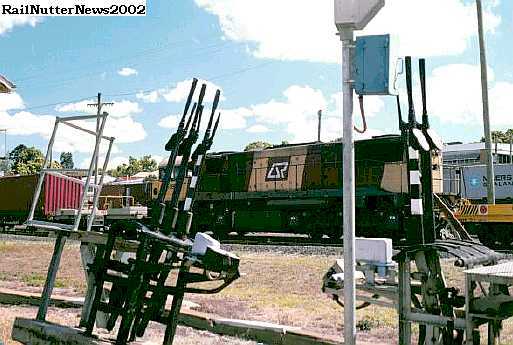 safe transit for shunting staff, during operations, rather than hanging off regular wagons. 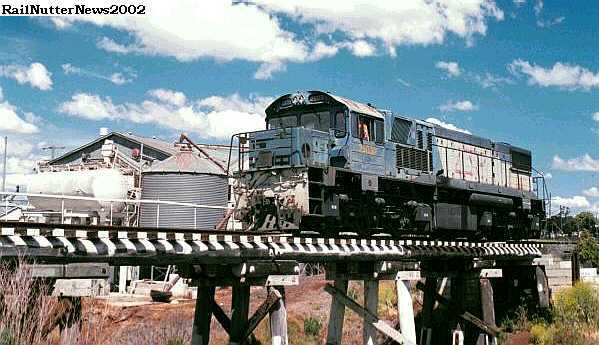 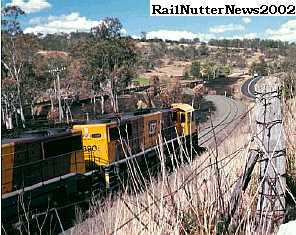 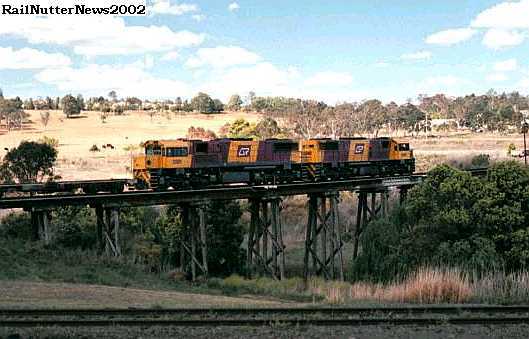 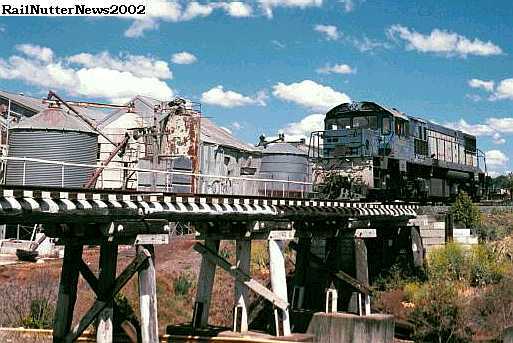 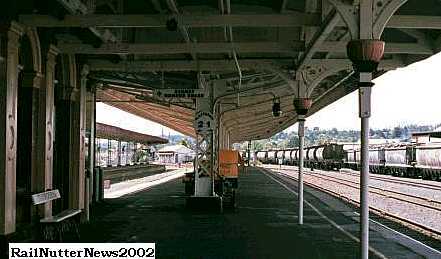 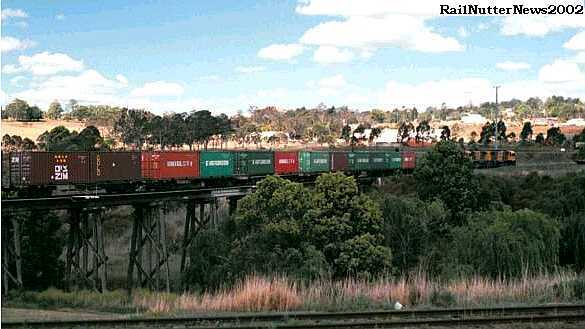 In the pastoral hinterlands two hours west of Brisbane the town of Toowoomba (left) is a paradise of wooden trestle bridges and train yards filled with the movement of goods trains amidst the calm countryside. 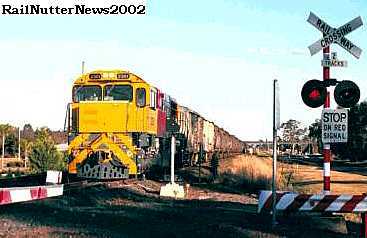 Nearby is the historic Spring Bluff Station. 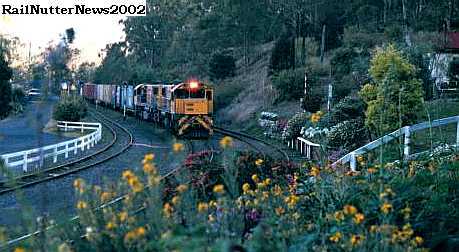 noted for its award winning flower gardens (below). 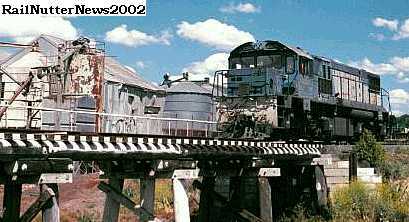 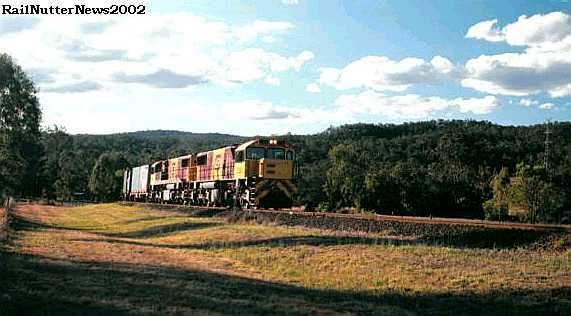 We were most fortunate to be there when a rare freight train rumbled gallantly through the mountain grades and curves. 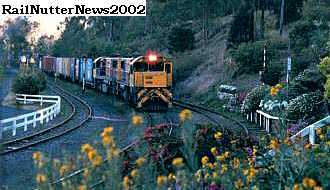 We were able to chase Locos 2390 and 2391, consisted in sequence, over rolling back roads from Spring bluff to Murphy's Creek where they emerged from the mountains towards dusk. 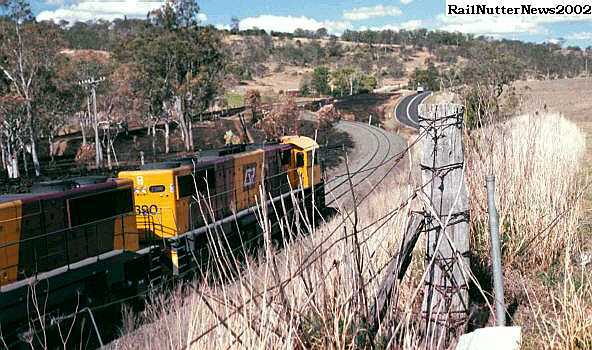 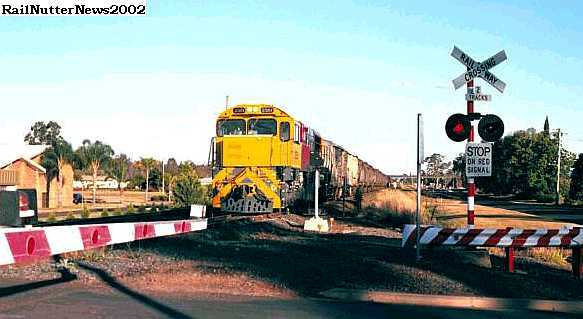 At Helidon there is a clear view of a classic Aussi level crossing. 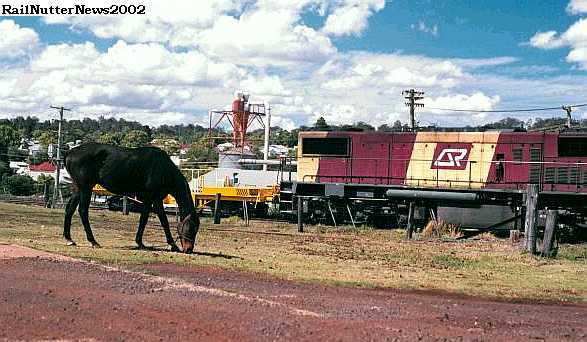 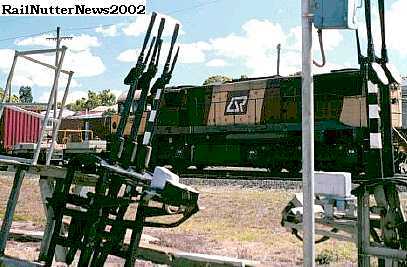 RailNutterNews is deeply grateful to Matt Smith and the other suspected ringleaders of QRIG for their gunzil convoy communications during this day and for their patience while I waited for that horse to stay put as a train passed through the scenic industrial rural backdrop. 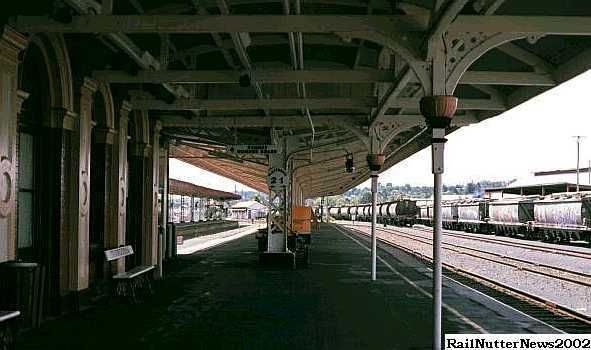 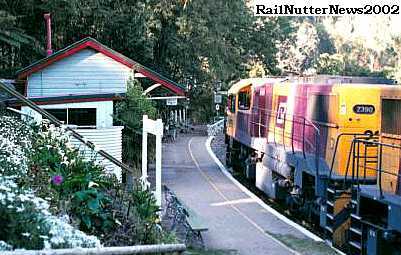 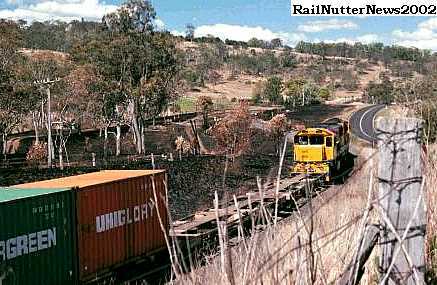 to this day as a restaurant, serving traditional Aussie railway meals. 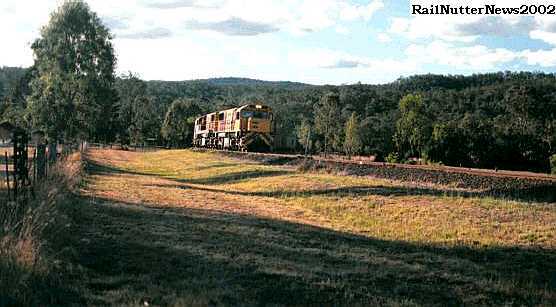 To the right two rakes of grain wagons can be seen. 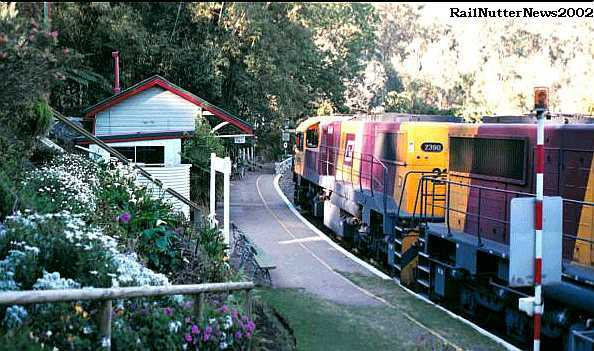 Spring Bluff won QR's gardening competition year after year after year. 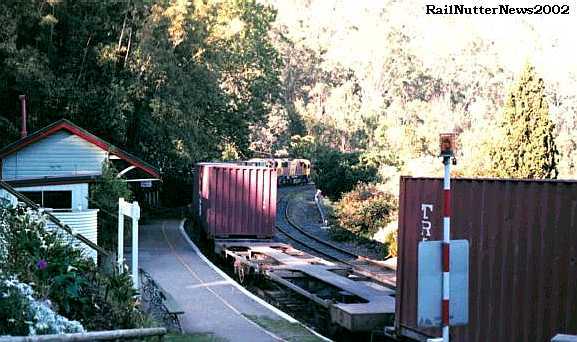 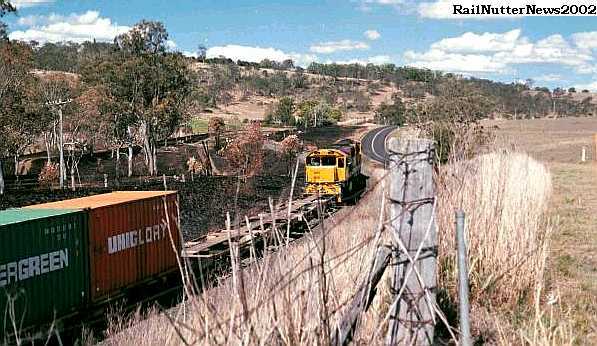 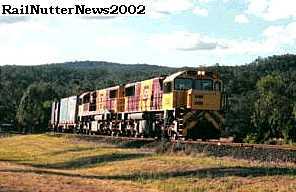 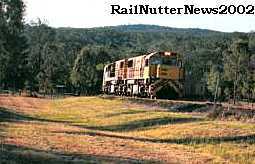 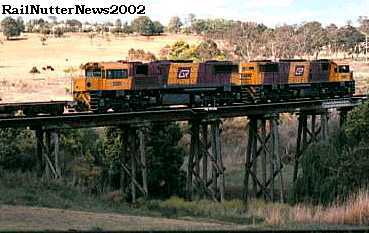 The above mentioned container train emerges from the forest at Murphy's Creek.